REMEMBER we will schedule your tournament games around your league schedule so you never miss a game. If your team has a league game on one of our tournament weekends, we will schedule your tournament games around your league game. It is up to you to make sure you have the latest schedule. Games will not be made up if a team misses a game due to a schedule change. 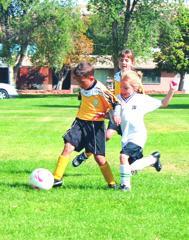 All AzSoccerEvents tournaments are Stay and Play with the exception of the Yavapai Cups. 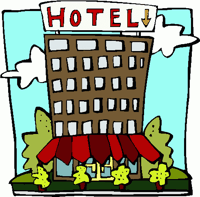 Final acceptance into the tournament will be based on out of county/state/country teams using our tournament hotels. Open the tournaments tab in the top tool bar and then go down to the tournament you are interested in registering for. There you will see a registration page next to each individual tournament. You can also click the link below. From there you can go to the registration page of the tournament you are interested in. Click on the tournament application you need. AzSoccerEvents accepts Master Card, VISA, American Express and Discover cards through a safe and secure payment system provided by Authorize.Net. Tournament registration provided by Got Soccer. Challenge FC invites you to our FIFTH annual soccer tournament. 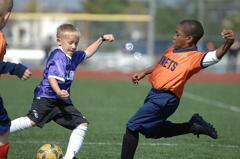 Challenge FC has been a part of AYSA for many years, however we are also part of AYSO. Our invitational tournament will bring in AYSO teams from all over the country. So come on out and play somebody new at the Challenge FC Challenge. Games will be played at Scottsdale Sports Complex, Tempe Sports Complex, Rose Mofford, Fear Farm Park and Pioneer Park in Peoria. Get your PINK On as soccer teams from around the Southwest raise money for the American Cancer Society for Breast cancer Research Last year a record 372 teams participated.. Games will be at Red Mountain, Riverview, Quail Run, Tempe Sports Complex, Pioneer Park and Rose Mofford, Fear Farm, and Strikers complex. This second annual tournament hosted by the Papa John's Pizza stores in the West Valley is a great event to add to your tournament calendar. This tournament drew over 180 teams. Each participant (player) on each team will receive a coupon for a FREE Papa John's pizza. Your team loves Papa John's Pizza, your team is going to love this tournament. 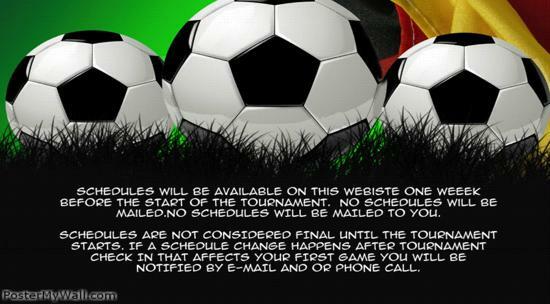 Tournament check in will be posted here and emailed to all coaches and managers seven days before the start of the tournament. To referee in an AzSoccerEvents event contact Chris McConkey at refqueen@cox.net or go to the referee page on this web site for additional information. Please join us as the soccer community reaches out to help the under privileged during the holiday season. We lower our entry fee and have each player and coach donate a new unwrapped toy to the Salvation Army Christmas Angel Program. We have collected over 20,000 toys over the last ten years. Games will be played at Reach 11. The Barcelona soccer club would like to invite you to start the second half of the 2019 soccer season with COPA Barcelona. It is a great way to kick off the holiday soccer rust and get some games in. The tournament will once again be played at Red Mountain and Quail Run. Hosted by the AZ Inferno soccer club. AzSoccerEvents will not longer be managing this tournament. After five years our contact was not renewed. We wish them the best of luck. The largest tournament in Northern Arizona keeps getting better and better. In 2014 we moved to two weekends, in 2016 we hosted a record 262 teams and eliminated long drives between fields for parents and coaches. In order to provide the teams with the best experience possible, we will be reducing accepted teams from the numbers achieved last year to provide more quality fields to play on. So register early.